Kudrinko’s Ltd. has a lot to celebrate. The Westport, Ont. family-owned, independent grocer was thrilled to recently receive a Greatness in Green, Outstanding Independent award from Progressive Grocer. The awards reception was held in Las Vegas last week, during the National Grocer’s Association show. 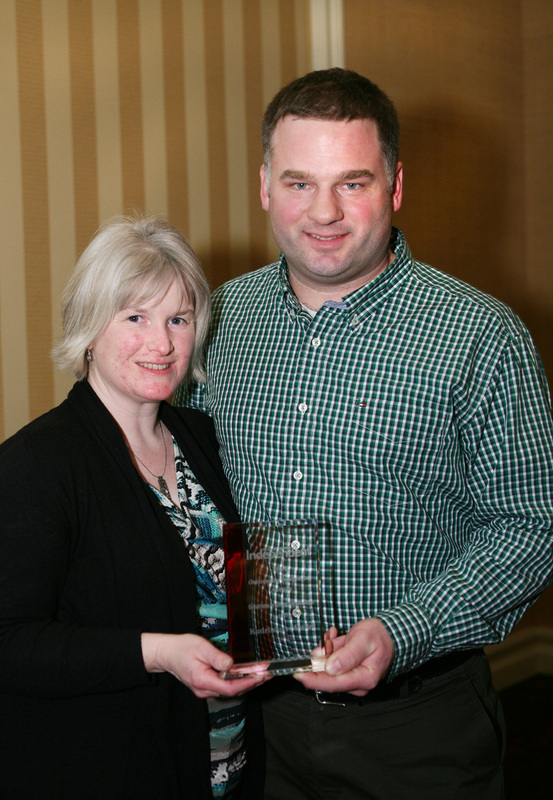 Owners Neil and Martha Kudrinko were on hand to accept the accolade which honoured grocer innovation or success in a specific area of business. The store was nominated for its environmental efforts and competed against entries throughout North America. Even before earning the designation, Kudrinko’s was tracking its energy consumption and refrigerant losses, replacing inefficient compressors and HVAC systems, improving insulation of the building envelope, and retrofitting its freezers with LED lights. Outside of the store walls, Kudrinko’s has installed off-grid solar parking lot lighting, and incorporated ground water bioswales into its recent parking lot project. Progressive Grocer noted that while each of the award winners may have differing approaches to how they go to market, what remains consistent is the extremely close ties they have to the communities they serve. “Such close relationships give independent grocers insights into their shoppers that they can never glean from transaction or market data, regardless of how rich it is,” the magazine stated in an online article. Kudrinko’s accomplishments were featured in the February edition of the magazine, with a profile detailing the strategies that contributed to its selection as a winner. To find out more about Kudrinko’s green initiatives, click here. Congratulations to both Neil and Martha. What a great achievement and how lucky we are to have such an environmentally friendly and well stocked grocery store in Westport. Pat.